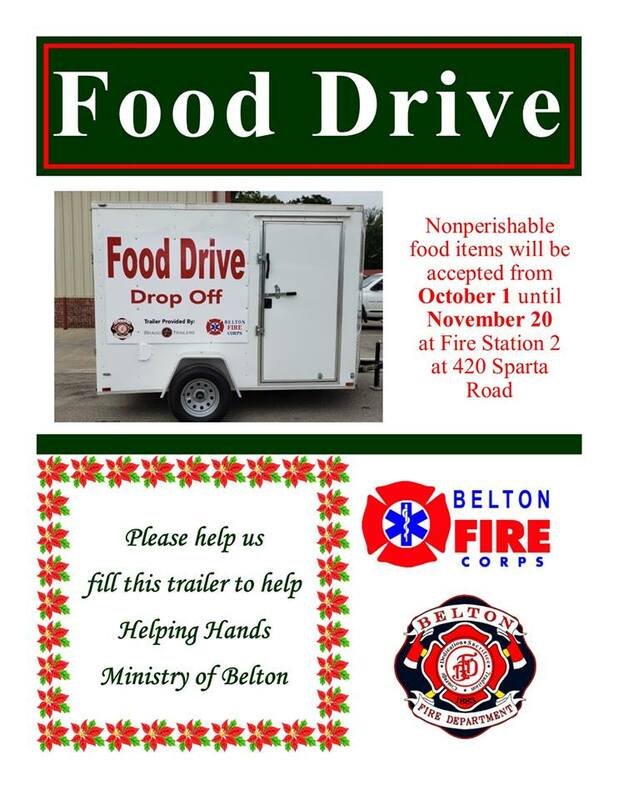 The Belton Fire Department’s Annual Food Drive is under way. Non-perishable food donations will be accepted through November 20 at Station 2, 420 Sparta Road. All donations will go Helping Hands Ministry of Belton.